Renault hopes to bounce back from a below-par start to the 2019 F1 season in Bahrain. Renault is determined to showcase the progress it has made with its Formula 1 engine at the Bahrain Grand Prix, according to team boss Cyril Abiteboul. The French squad had talked up its power unit gains during the winter and set itself the target of closing in on F1’s leading trio of Mercedes, Ferrari and Red Bull in 2019, though it endured a disappointing start at the season-opening Australian Grand Prix. Nico Hulkenberg and Daniel Ricciardo were both unable to make it into Q3 in qualifying, though Hulkenberg was able to recover to a strong seventh place. Ricciardo suffered a nightmare home race on his Renault debut and retired at mid-distance in Melbourne having lost his front wing on the first lap. 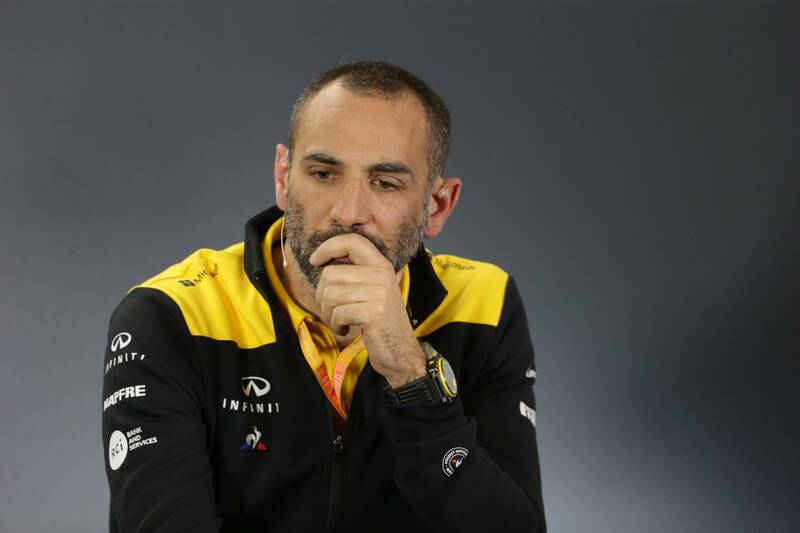 Abiteboul said Renault needs to be hard on itself in order to hit back strongly this weekend in Bahrain, having failed to extract the most out of its 2019 package in Australia. "In seasons gone by, we would have been satisfied with a seventh-place finish at the first race of the season, but this year we were a little disappointed," Abiteboul explained. "We feel our car is capable of fighting at the top end of the midfield. However, that wasn't always displayed when it really counted in qualifying and during the race. "We are determined to show more in Bahrain. We have to underline the step we've made on the engine side, and the second grand prix of 2019 is an opportunity to showcase that. We will bring some aero updates, as we will do at every race. "We also need to target consistency over the course of the entire weekend, delivering a balanced and reliable car in all sessions to allow the drivers to extract respective maximum performance. Renault technical director Nick Chester said the team will introduce a range of updates - including aero, mechanical and cooling developments - to its R.S.19 in the search for added performance. "We didn't qualify where the cars deserved to be in terms of pace and that was down to execution in some areas and a reliability problem which is now understood," Chester added. "It shows the midfield is so close and that any small mistake or dip in performance means you'll lose places on the grid. Unfortunately, we experienced that quite directly. The reality is, the lower down the grid you qualify, the more likely the risks of damaging the car are. "Elsewhere throughout the weekend, we tested some new parts, played around with different setups and learnt a decent amount. It's quite clear, though, we have some work to do to move away from the midfield, which is where we want to be."